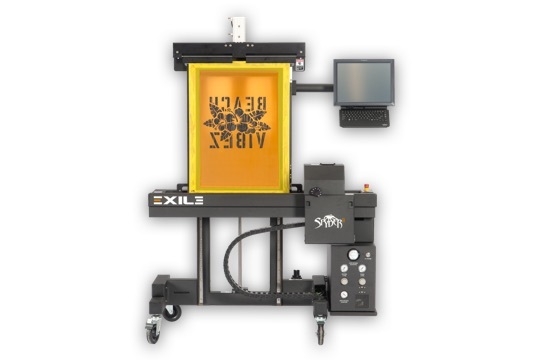 Increase production and quality in your print shop with EXILE Technologies' flagship direct-to-screen printer, the Spyder II. 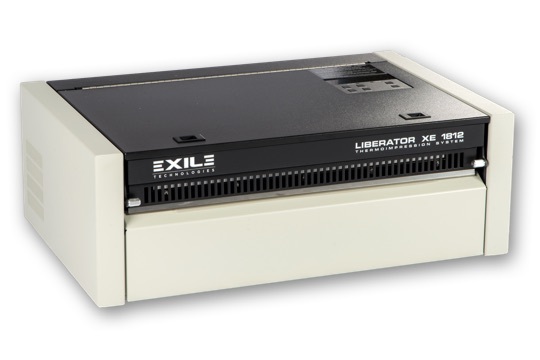 Capable of imaging screens in less than a minute, the Spyder II uses a high-density thermal wax to accurately print images onto any coated screen. 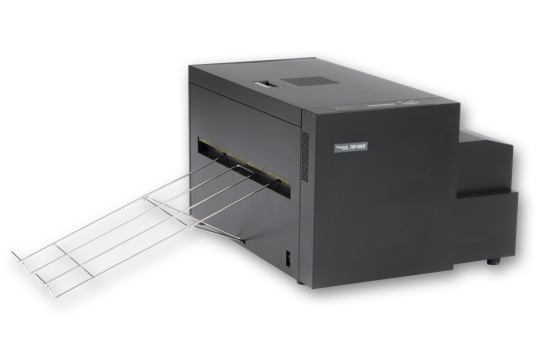 Our DTS solution can handle large frames up to 1168 x 1397 mm (46 x 55 in.) and prints at 600 dots per inch (dpi), allowing halftone frequencies of up to 75 lines per inch (lpi). Its new, streamlined interface boasts touch-screen controls, making it highly user-friendly and reducing setup time. The new Spyder II provides a simplified structure, improved performance, control, and long-term reliability. A full-featured Harlequin raster image processor (RIP) is included to provide extremely fast and reliable file output. Contact us today to learn how the Spyder II can reduce labour and cost in your shop, while improving productivity. The Federation of European Screen Printers Associations’ (FESPA’s) 2017 global print expo, which took place last month in Hamburg, Germany, was the most diverse and international yet, drawing signmakers and print service providers (PSPs) from nearly 140 countries. In May, the first-ever Printeriors showcase debuted at the Federation of European Screen Printers Associations (FESPA) show in Cologne, Germany. As the name suggests, it was dedicated to the growing field of digitally printed and screenprinted interior décor. Glass has been used for centuries in windows and other ‘portals’ to create light-filled indoor spaces. Today, thanks to advances in digital technology, everything from interior partitions to small windows to entire building façades can be transformed as a signmaker’s canvas. Successful business owners, including those in the wide-format printing industry, know safety is a key component in creating a thriving work environment. By keeping their employees healthy, business owners can save money, improve morale and foster a more efficient workplace.